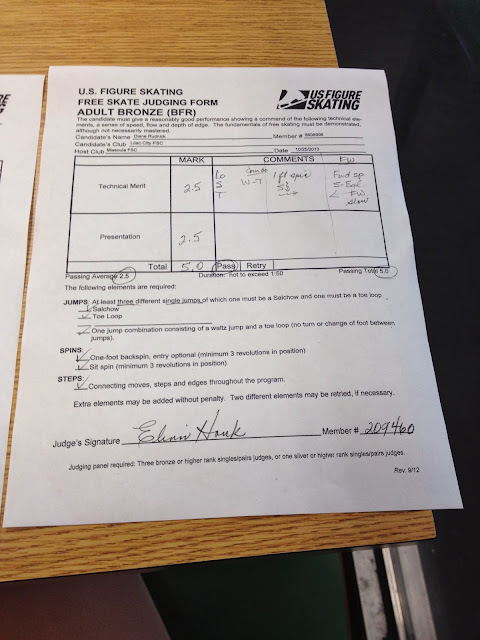 WALTZ JUMP Figure Skating Over Age 50 (58 in 2018): Adult Bronze Free Skate PASSED !!! 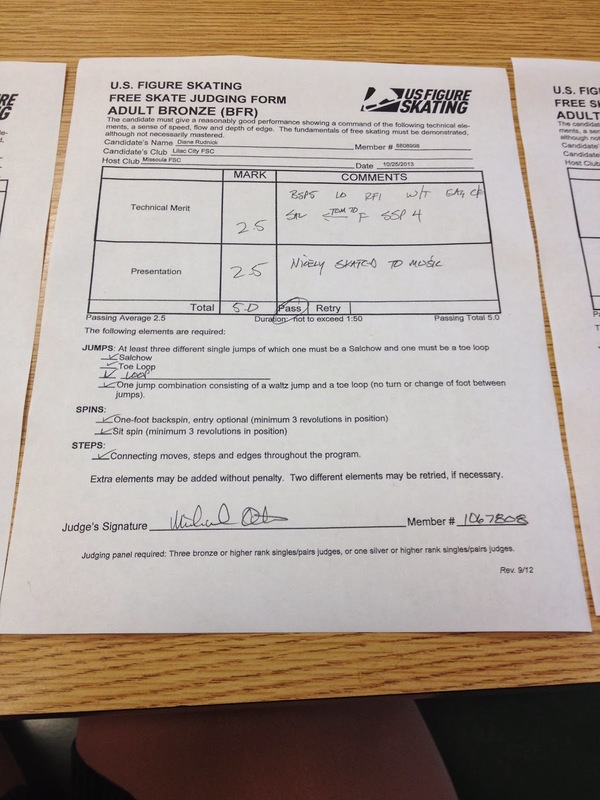 Adult Bronze Free Skate PASSED !!! With a gigantic sigh of relief, I am proud to say that I successfully passed my Adult Bronze Free Skate Test today ... and with no re-skates required! 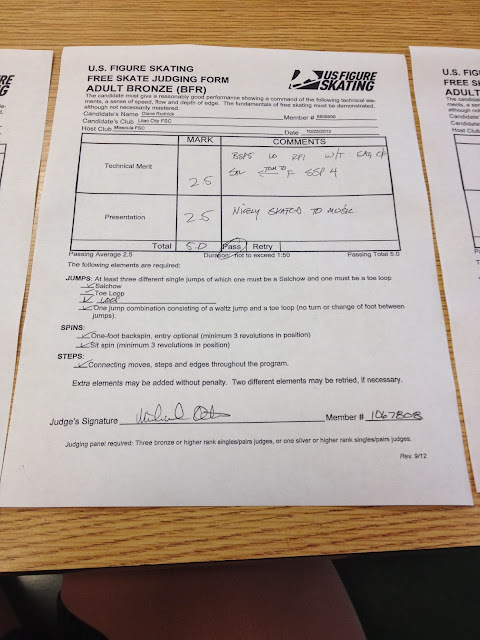 I am thrilled and relieved that it is over and now I can move on to bigger and better things - like Adult Nationals in April!! Ask anyone who skates and they will always tell you ... "I could have skated better". Today was no exception, but I did not fall and I did complete all my jumps, tiny as they were and all the necessary revolutions of my spins. I could spend an hour nit picking at what went wrong, but I won't. Oh my goodness, Adult Gold .. you are the brave one. 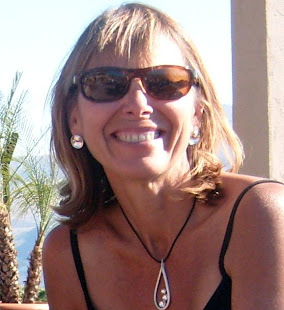 Thanks for your support and I hope to meet you too in April! Thanks ... have you stopped skating? Congratulations! Your hard work paid off! You did really well! Thank you everyone.. I am overwhelmed at all the congrats! Congratulations! 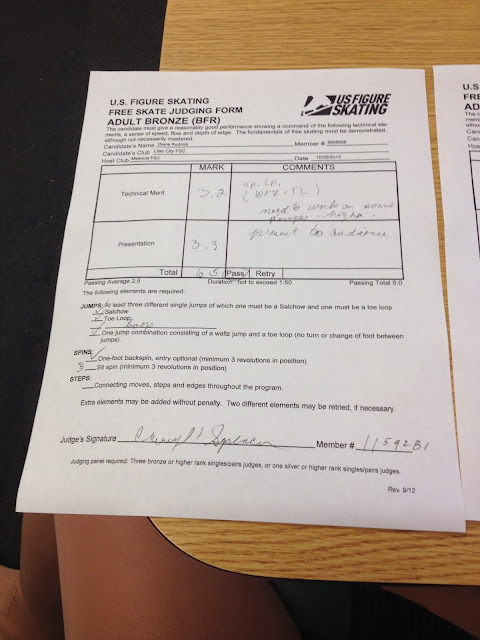 I knew you would pass with no problem - I only hope I can skate as well as you in the next couple of years! 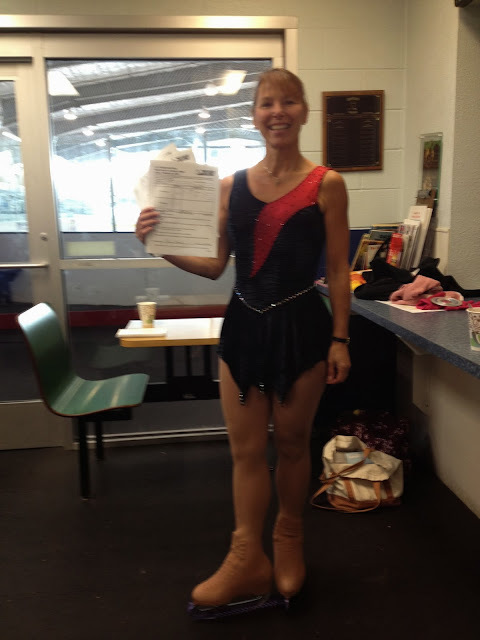 (PB skater who met you at Adult Nationals). Beautiful! You have such a nice presence on the ice, and lots to like here, like your high spiral, pretty spread eagle, and very properly executed salchow. Will you be at Sectionals or just Nationals? I am thinking I will go to Sectionals--- don't even have my program choreographed yet, need to expedite that. We are in the same age category and I am also Bronze. Last 4 Days of Practice Start Now..